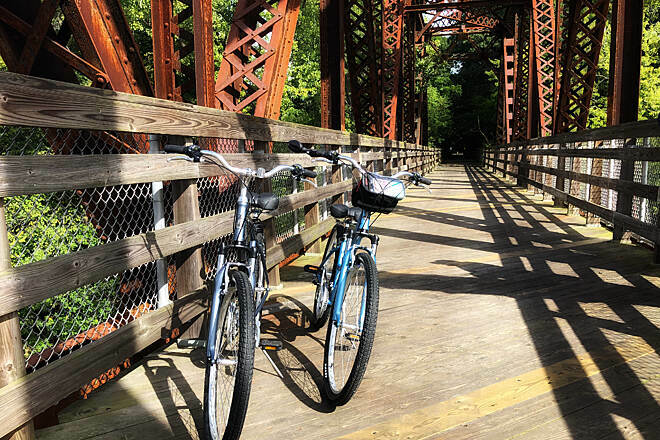 The well-maintained Canalside Rail Trail provides users with a variety of trestle bridges, views of waterbirds stalking fish and frogs, and gentle grades that alternate between open sky and forested shade. 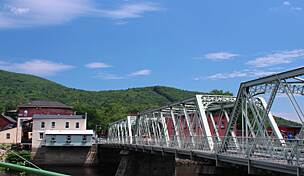 The majority of the trail lies within historic Turners Falls—the largest of the five villages that comprise the town of Montague. 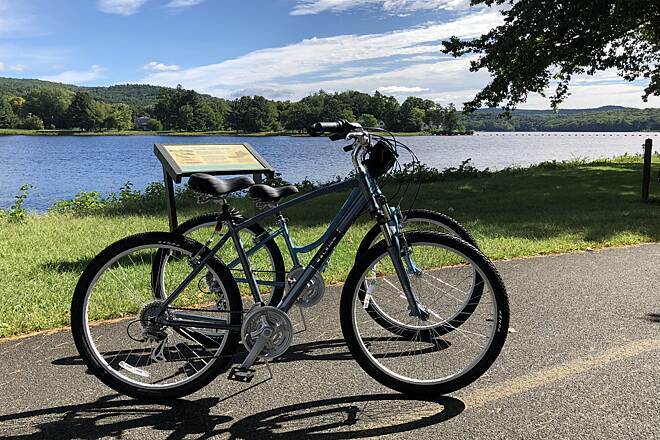 From the public parking lot at Unity Park in Montague, begin your journey by turning left onto the paved trail, starting with views of the Connecticut River Reservoir and Turners Falls Dam to your right. 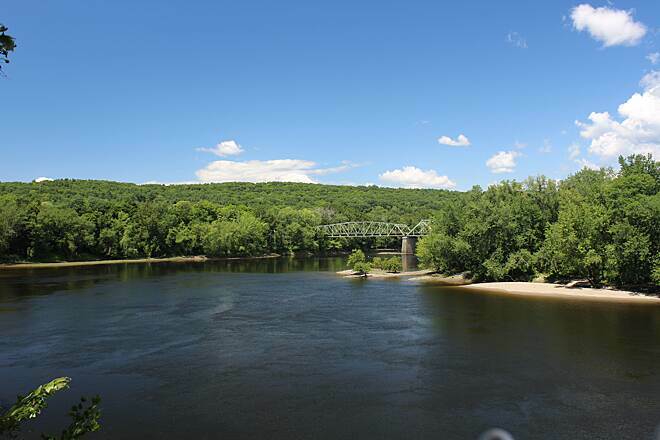 You can also see the Turners Falls Fishway, composed of three fish ladders that enable fish to travel beyond the dam. 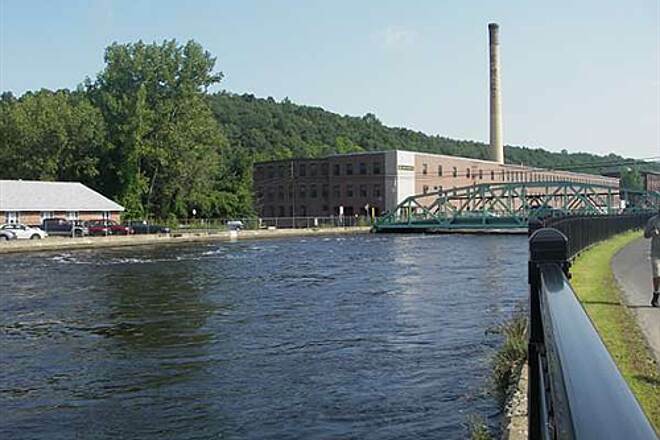 The fish ladders are located at the Cabot Hydroelectric Station, the dam, and the gatehouse. Once you cross Avenue A, you’ll pass the Great Falls Discovery Center on your left. 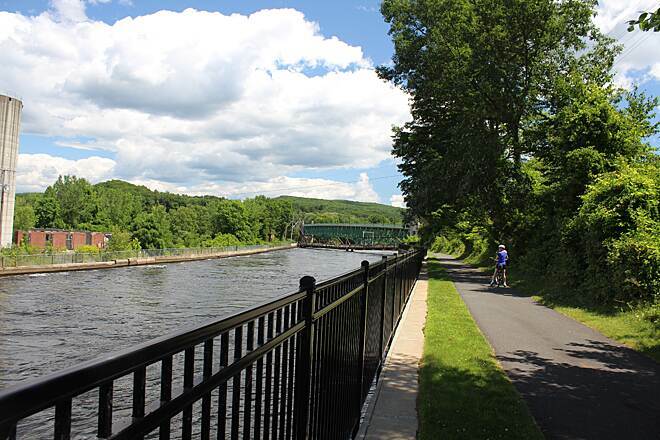 After this point, the trail parallels the canal for about 2 miles—crossing Turners Falls Road, Power Street, and 11th Street—and offers ample opportunities to see several small trestle bridges. 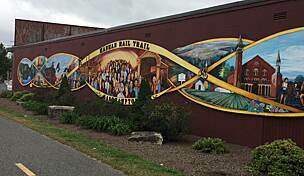 The rail-trail takes a left onto Depot Street to leave the canal, making several turns through neighborhood streets and a light industry area, requiring users to travel on the public roadway for a short distance. Street traffic is light and the crossings are well marked, suitable for users of all ages. 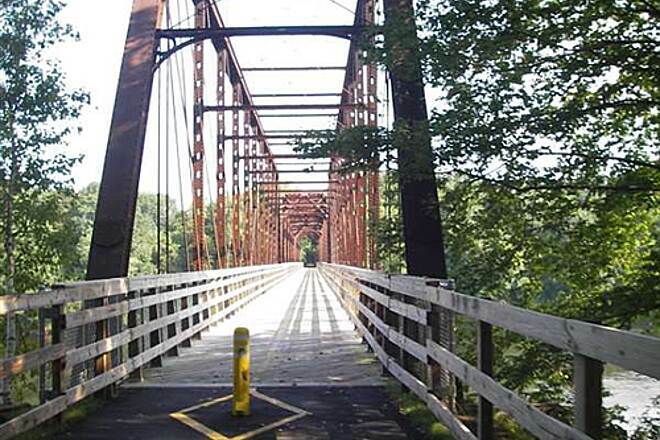 In 0.4 mile, the path returns to dedicated foot and bike usage and leads to a gorgeous trestle bridge near the confluence of the Connecticut and Deerfield Rivers. 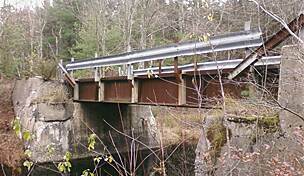 The bridge was constructed in 1880, with sections repaired following a flood in 1936. From the bridge, you may hear the sound of nearby train horns. 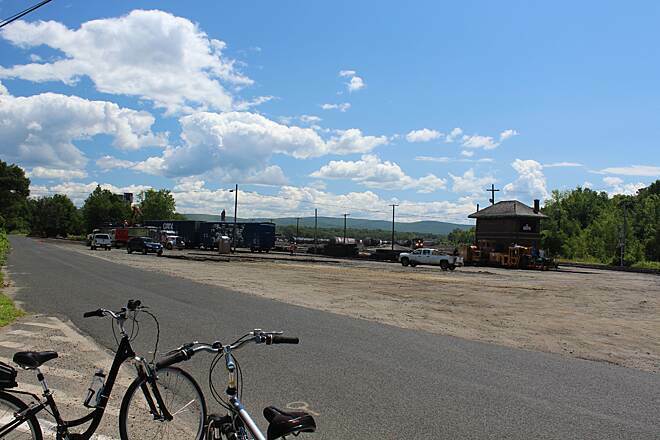 Following the route to its southern endpoint will take you past farmland to the East Deerfield Yard, an active rail yard at the end of the trail. While travel within the rail yard is not permitted, the trail is close enough to see and smell the locomotives in action—an intriguing observation point for railroad buffs. Retracing your path will return you to Unity Park, where nearby restaurants and shops offer numerous opportunities for local cuisine and wares. Near the Unity Park parking lot, a large, well-designed playground—featuring wheelchair--accessible equipment—presents a great stopping point for families after enjoying the trail. 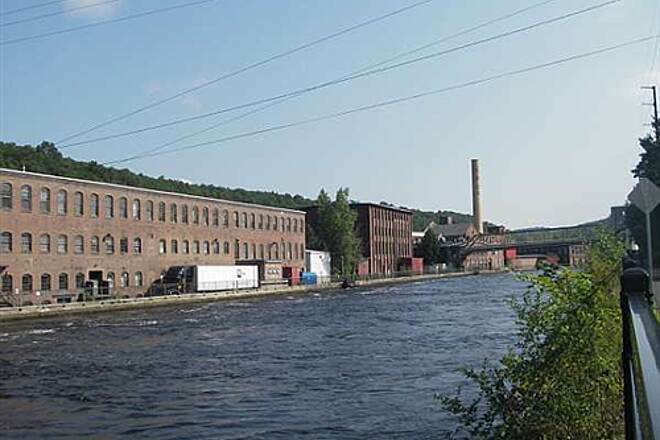 The Fishway Visitor and Education Center (no admission fee) is also nearby, located behind Unity Park at First and Maple Streets in Turners Falls. If that puts you in the mood for fishing, you can do that at Unity Park too. 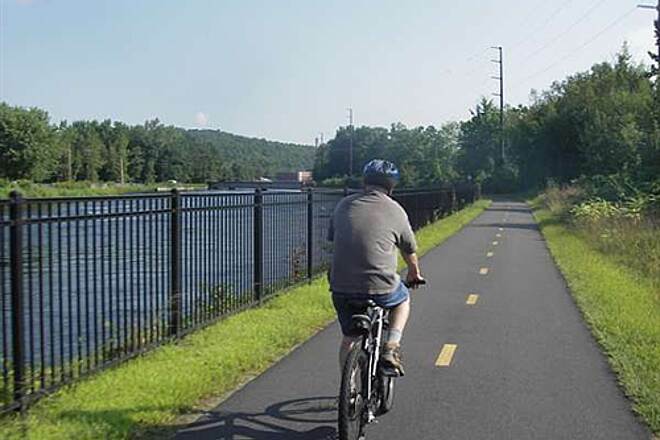 While the suggested starting point is Unity Park in Montague, trail parking is also provided near the rail yard in Deerfield. 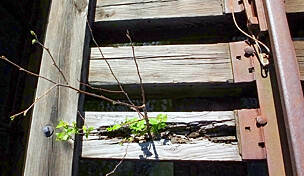 The trail may be accessed at either point. 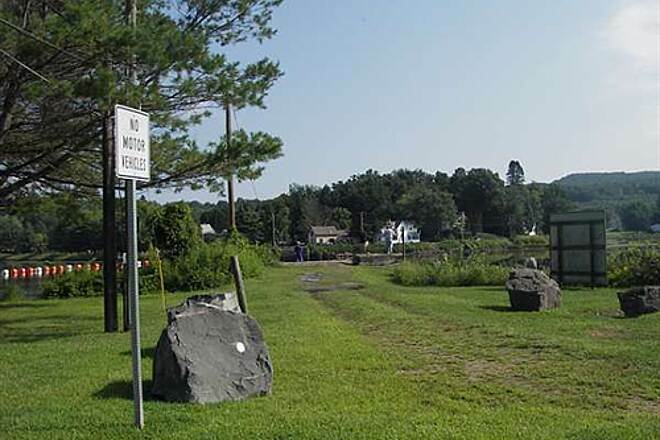 To reach the Unity Park endpoint in Montague from I-91, take Exit 27 for MA 2 E toward Boston. Continue on MA 2 E for 2.5 miles, then turn right onto Main Road/Ave. A. Go 0.3 mile, then turn left onto First St. Unity Park will be on your right in 0.3 mile. Parking is located in several places, just past Montague Town Hall or at the ball fields a little farther down First St. The paved trailhead is located to the left of the parking lot behind the town hall. To reach the southern endpoint in Deerfield from I-91, take Exit 26 for MA 2 W/MA 2A E toward Greenfield Center/North Adams. At the traffic circle, exit onto MA 2A E (the third exit if coming from the north, or the first exit if coming from the south). Go 0.6 mile, and turn right onto River St. Go 0.5 mile, continuing onto Mill St. In 0.3 mile, turn right onto Bank Row/Deerfield St. Go 1.1 miles, continuing onto Greenfield Road 0.2 mile. Turn left onto E. Deerfield Road/River Road, and go 0.9 mile. 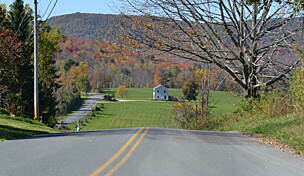 Turn left onto McClelland Farm Road. Parking at Railroad Yard Road, and the southern trailhead, will be on the left in 0.2 mile. To reach the southern endpoint in Deerfield from US 5/MA 10, in Greenfield turn left onto River Road (at the Deerfield River) if coming from the north, or right if coming from the south. Go 0.9 mile. Turn left onto McClelland Farm Road. 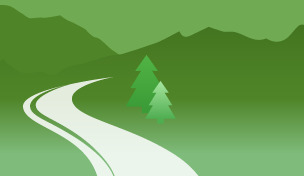 Parking at Railroad Yard Road, and the southern trailhead, will be on the left in 0.2 mile. This is a really nice paved trail- approx 2/3 is in direct sun and the other 1/3 is nice and shady. Approx one mile starting at the rail yard is nice and shady then it's almost all full sun until the other end by the Great Falls Discovery Ctr. I bring my dog and baby with a jogging stroller, so in the summer heat I'll do the shady part 2x and skip the canal section. 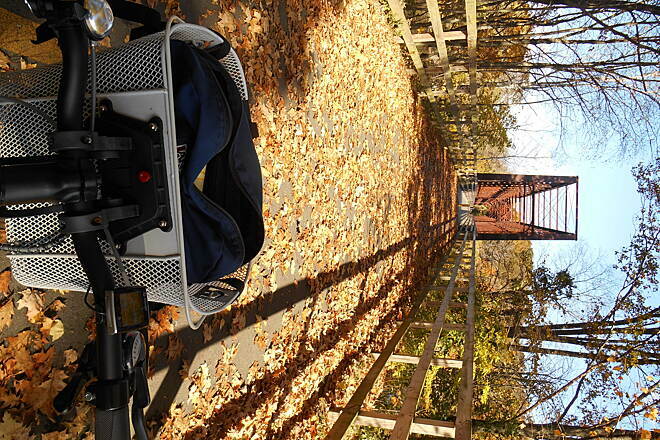 It's well marked and easy to navigate with a stroller. There are some benches along the canal if you need a break. 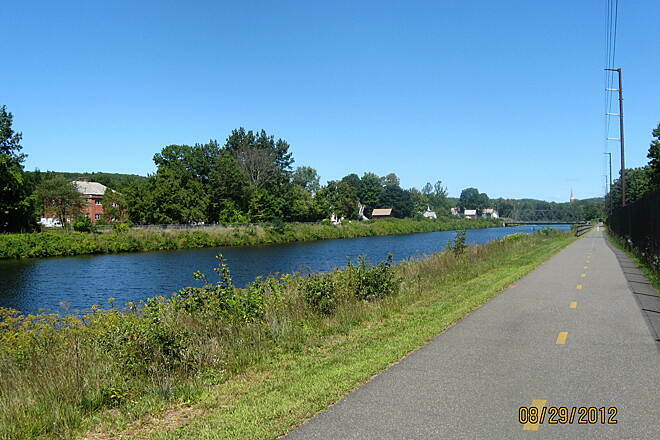 The starting point across from the discovery center has picnic tables and is a great place to have lunch by the river. There are a few picnic tables at the other end by the rail yard as well. 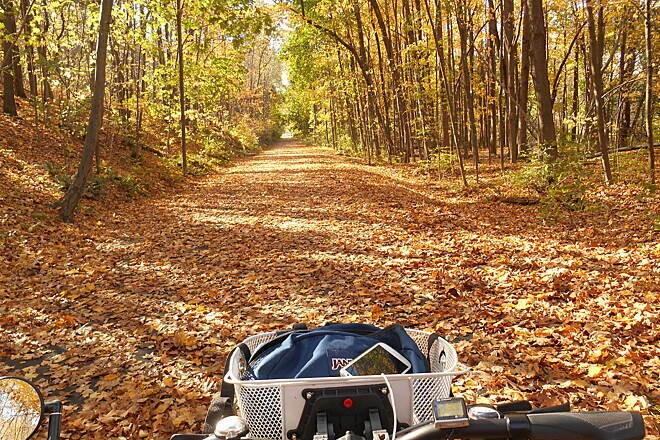 Overall a great trail for running, walking or biking. We walked with a stroller and the trail was perfect a week after snow-melt. 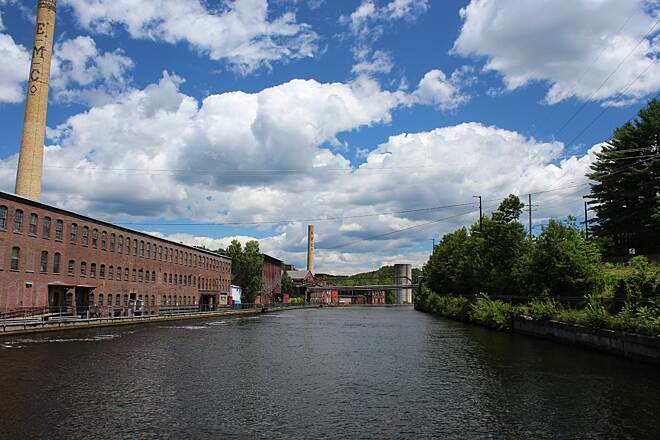 The area is a good mix of old industrial, wooded farm, and canal-side views. We easily found parking and the signage was well marked. Would recommend to anyone. 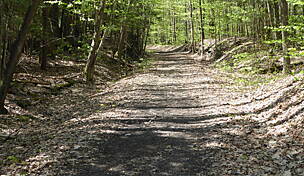 I rode from Greenfield to Turners Falls using local roads and this smooth surfaced trail a couple of days ago. There are some very beautiful spots along the trail. 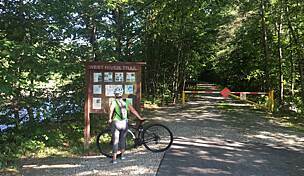 One complaint is that while signs marking it as a bike trail are adequate, there are no signs telling you where you are. For someone not from the area, I wasn't sure where I was going and there were no street signs where the trail crossed streets, no directional signs showing "This way to Greenfield/Turners Falls", etc. and no trail maps posted anywhere. I got helpful advice from people along the way, but a few signs would improve the first-time experience. 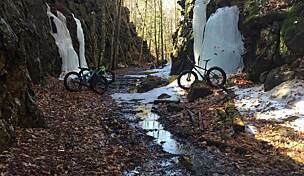 Rode this trail yesterday with the wife and kids. The trail in in great condition and very well marked. My only complaint related to riding it with kids was there are several blind street crossings right in a row (bridges coming over the canal) where there is quite a bit of traffic. Its hard for motorists to see bike, and bikes to see motorists at these intersections. The short road section is not too bad, though one of the streets looked a little sketchy alongside some old industrial building that is falling down. This trail was really enjoyable. 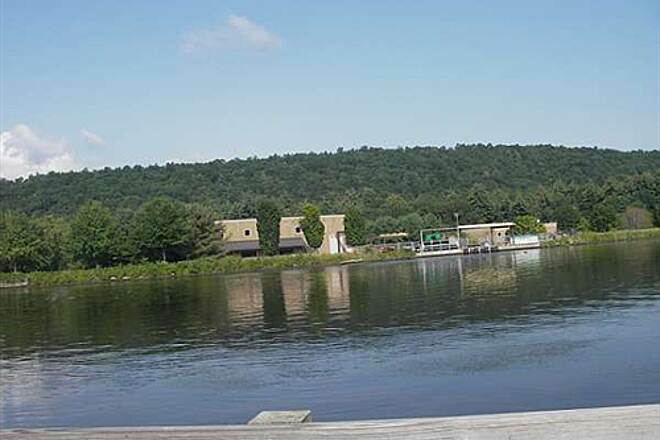 It has nice views of the canal, surrounding hills, forest, and a cute bridge over the Conn. River. At the start of the trail there is a nice park with a playground and at the end is a railroad transfer that my kids I know will enjoy! It starts on a build trail to pick up the Old NYNH&H R.R. 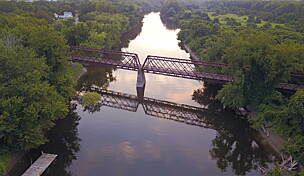 branch and then crosses the Conn. river on what is reported to be the oldest RR bridge over the river. In a short distance is used a short section of small streets to get over to the start of the canal section. The ride along the feeder canal for the power plant has lots of wildlife to see. We saw ducks and geese and the other side where the road and the salmon fish research lab is and can be fished. After we passed where the R.R. spur line crossed over to the mills on the west side you get closer to the other side and can see the southworth mill and some others. At the underpass by the fish ladder(you can visit this in the spring when the salmon and others are heading upstream to spawn) you can make a right to visit the Great Falls Discovery Center which is housed within a complex of old mill buildings and includes open habitat exhibits and fish tanks. Admission is free. 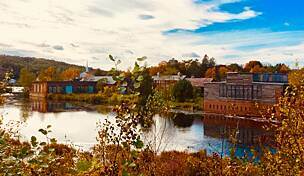 At the northern end is the Turners Falls dam and Barton's Cove and small park.